Whether you are purchasing your first road bike or looking to upgrade your current model, $1,000 is a serious commitment to make to a bike. When you pay out this much money, you should get a quality product. Quality is definitely what you get with these sub $1,000 road bikes. In this article, you will find reviews for 5 of the best road bikes under 1000. While each has its own advantages and disadvantages, only one will be voted the best road bike for the money. The Fahrlander road bike is the first to take more than just frame size into account to determine the fit of your bike. The FitWell Bike Company takes your body type, flexibility, and personality into account before recommending the perfect bike for you. They offer three types- the Riley fit, the Drew fit, and the Alex fit. The Riley fit is for anybody types and works well for people that have limited flexibility. The Drew fit and Alex fit is for riders with good flexibility- the Drew fit caters to riders with longer legs, while the Alex fit caters to those with a longer torso. In addition to these fit types, the Fahrlander bike comes in a variety of sizes- from extra small to extra-large. There are tons of great things about this bike. First, it comes with a CROMO frame. This is different from the aluminum that you would expect from a road bike company, but it is lightweight and durable. It also has a drop-style handlebar, which is designed to let you get up to speed fast. Another great feature is the Shimano Sora parts- which include the front and rear derailleurs, the crank, the case, and the shifters. Each of these parts run very smoothly and the shifters allow you to glide between gears. This makes it the perfect bike to ride anywhere. The Fahrlander bike is a little pricier than other starter bikes. It offers a sleek design that even looks fast when it is sitting still and great color and graphics. The only downside to this bike is the CROMO frame, which contains some steel. While the steel may be able to offer the rider a much smoother, more effortless ride, steel is more likely to rust than aluminum. This means you need to take good care of your frame if you want it to last. This is the most affordable bike on our list of the top road bikes under 1000. There are tons of great things about this bike. First, it comes with a lightweight, high-quality aluminum frame. The aluminum is rust-proof, and the carbon fiber fork offers you a smooth ride. The high-quality frame is paired with derailleurs and shifters made by Shimano Tiagra. Regardless of whether you need to ride uphill, downhill, or across flat land, the shifters allow you to change gears and glide smoothly. With its lightweight frame and high-quality parts, you can quickly and easily pass up riders on more expensive bikes. While the features of the FORZA 2.0 are all great, there are some things to take into consideration. As mentioned, the inner tubes are of lower quality. This can be expected from bikes on the lower end of the price range, however. Additionally, the seat could use improvement. Some may find it moderately to severely uncomfortable- unless you have a pair of gel bike shorts at home. Seats are relatively cheap to replace, though, and most people trade the seat in for a more comfortable model on any bike that they choose. The final thing you should consider before purchasing the FORZA 2.0 is the wheels. While the double walled 700C wheels are great, they are quite heavy. If having a very lightweight bike is important to you, then you will most likely want to upgrade. Additionally, the inner tubes are not of the highest quality, especially if you live in an area that is hard on bike tires. The wheels themselves are quality, but only if you don’t mind the extra weight on your bike. On the plus side, the heavy, durable construction is good if you plan on riding in rocky areas or down gravel roads. The Century 2 Road Bike is a great road bike. One of the first advantages of this bike is the 7005 aluminum alloy frame. While a lot of others use 6061 aluminum alloy, the composition of the Century 2 frame allows it to be even more lightweight than other options. In addition to the lightweight frame, the bike features butted tubing. The butted tubing has varied wall thickness so that the frame is sturdy where it needs to be, but remains lightweight. It is sturdy enough to hold heavyset people, but the bike itself weighs just over 22 pounds. 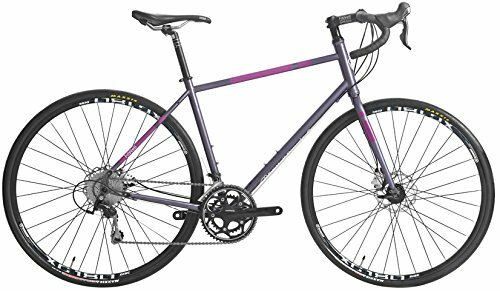 The lightweight speed of the bike, paired with the decent wheels allow it to be ridden on pavement, but also gravel roads or pebble-strewn paths. Its wheels are not of the highest quality, but they are still of higher quality than those that come included with a lot of other bikes in the same price range. Additionally, the Century 2 is relatively easy to assemble. You just have to attach the handlebars, pedals, seat, and quick release front wheel. The shift cables and brakes may also need to be adjusted. If you do not have any experience with road bikes, it may be best to take it to your local bike shop for assistance. As an added bonus, this bike comes with a chainstay protector and bottle mounts. The chainstay protector ensures that your chain remains safe when riding on wet or muddy roads, while the bottle mounts to ensure you can stay hydrated on long rides, which are the type you will enjoy with this great road bike. The complaints about this bike are what you would expect from a more affordable road bike. You will probably want to replace the seat, pedals, or both during the life of the bike. The seat can be moderate to severely uncomfortable unless you are wearing gel bike shorts. This can easily be replaced with a more comfortable model. The pedals are also of lower quality. While the bike itself does not come with pedals, the company sends them to you free of charge. You cannot be surprised that they are not the highest quality. They will do for a few rides, but it is likely that you will want to upgrade to clipless bike pedals soon after. Rounding out the list of the 5 best road bikes is the RapidCycle Evolve Bike. For a decent price, you get a great frame on this bike. The frame is made of 7005 aluminum alloy, which is a significantly lighter and more durable model than the 6061 aluminum alloy used for a lot of other bikes in the same class. The fork is also made of 7005 aluminum alloy, which is different from the carbon fiber that is usually used. This means the fork will be a little less stiff. The frame also comes with double-butting where it is needed. The individual components are joined together by high-quality welds. Additionally, the Grand Bike comes with drop-bar handlebars. These are ideal for riders that want to effortlessly gain speed as they ride. Finally, the components are what you would expect from a bike of its category. Many of the parts are Shimano Tiagra. This includes the crankset, bottom bracket, shifters, and front and rear derailleurs. These are of high-quality and the shifters allow you to seamlessly shift as you ride. There are a couple downsides to this bike- the wheels and the brakes. The front brake does not work as well as you would think that a bike of this quality would. Additionally, the wheels are not easy to assemble and they may need to be replaced after a while. Other than that, this is a great road bike. 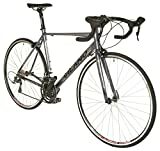 After considering the advantages and disadvantages of each bike on the list, the Century 2 Road Bike is definitely the best road bike for the money. When you choose a bike under $1,000, you would expect to have some flaws. The Century 2 only has a few- the brakes and the seat. The disadvantages of the bike are outweighed by its advantages. The Century 2 offers a lightweight frame with varied wall thickness and double-butting only where it is necessary to make the bike durable. It is strong enough to carry heavier riders, but only weighs 22 pounds. This bike stands up well against the elements and can be ridden on muddy, pebble-strewn, and gravel roads. The Century 2 also comes with features not typical to any of the other bikes on the list, including the chainstay protector and the bottle mounts. If these are not good enough reasons to choose this bike, it also comes with high-quality shifters that allow you to transition smoothly from low to high gears. 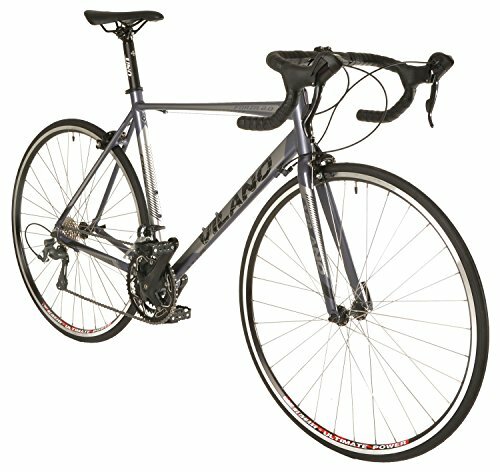 If you are trying to purchase a high-quality bike but don’t want to spend more than $1,000, one of the bikes on this list of the best road bikes under 1000. Each bike has its own unique features and comes with advantages and disadvantages for the cost. 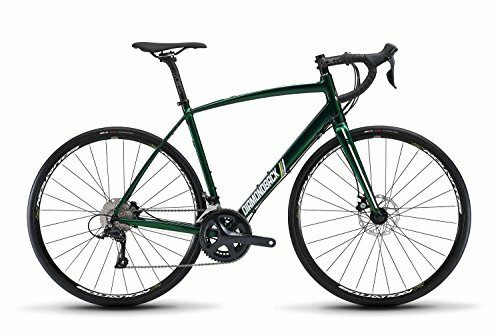 While the Century 2 Road Bike was voted best road bike for the money, that does not mean the other bikes do not have merit. Many of the other options are also ideal choices for the right rider, regardless of your level of experience. Both novices and experienced riders will probably be able to find something they like. Before choosing the bike that you think is right for you, consider the advantages and disadvantages of each bike, and what it has to offer for the price. This will ensure that you are satisfied with your choice.